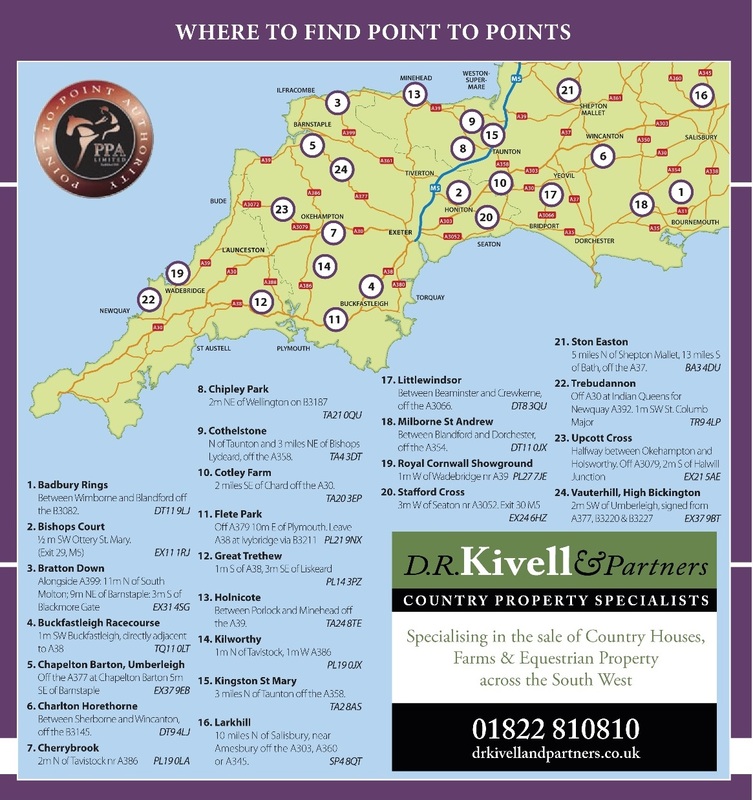 THE Devon & Cornwall area got the new British point-to-point season under way at Black Forest Lodge on Sunday (29 Nov) in blustery, but dry conditions. The Devon track attracted much media interest surrounding the debut over jumps of Victoria Pendleton. As a prelude to her quest to ride in the Cheltenham Foxhunter chase next March, the former Olympic cycling champion took the mount on 12-year-old Minella Theatre, saddled by her mentor Alan Hill, in the Club Members’ race. Her experienced mount had been ridden to victory by Tony McCoy back in 2009, but with cameras thrust at her in every direction, the champion cyclist’s safe schoolmaster conveyance was back-pedalling in the rear soon after half way and she eventually pulled her mount up half a mile from home. The nine-runner contest went to another ex-chaser in the shape of Premier Portrait, who gave Gus Levinson his first winner. This was a most accomplished ride by the 16-year-old who is taking “A” levels at Radley College. “I just wanted to keep him in a rhythm knowing he would stay well,” explained the rider, whose mount defied a 7lbs penalty after being fractious in the parade ring. The former Kim Bailey trained chaser is now owned and trained by the young rider’s father Dr Charles Levinson near Cheltenham. It was the turn of another young jockey to shine when the imposing grey Argentato jumped well and made virtually all the running to win the Intermediate. 17-year-old Jordan Nailor hails from Moreton In The Marsh, Gloucestershire and works for jumps trainer Charlie Longsdon. 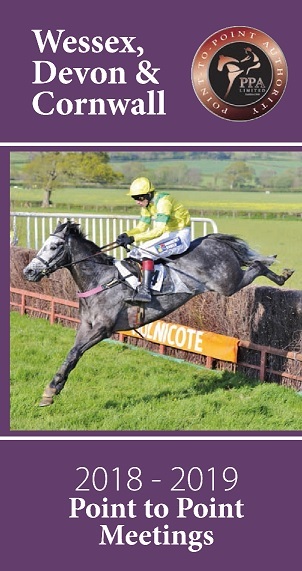 “I rode my only other winner at Andoversford last season,” reported the rider. Argentato runs in the colours of the Cotswold Chancers Partnership and is stabled with Claire Hart, who missed the win due to her riding commitments at Cottenham. Welsh challengers rarely go home empty handed from Black Forest Lodge and two of Sunday’s winners travelled across the Severn Bridge. Doctor Braveheart lived up to his name with a hard fought head victory in the Restricted. The six-year-old is owned and trained by David Brace who stands the gelding’s sire Dr Massini at his Dunraven Stud. “I bought Doctor Braveheart privately in Ireland last summer after he had run well in a Cork hunter chase but he really needs better ground,” remarked the owner/trainer. Byron Moorcroft, who works for David Brace, rode the winner, who just got up close home to deny Will Biddick’s mount Tempestatefloresco. It was a similar story in the Open Maiden which saw 26-year-old Byron Moorcroft in the winner’s enclosure again at the expense of champion jockey Biddick. This time the Welsh trained Northgeorge had 12 lengths to spare over Wotzizname on reaching the judge to secure Byron Moorcroft’s double. “We bought Northgeorge at Ascot as a three-year-old reported Jonathon Tudor who trains the winner at Bridgend for owner Steve Young. “This is my first winner with my first horse,” exclaimed the delighted owner. “I drove rally cars for 26 years and now run a medical equipment company,” he added. The two and a half miles Open Maiden for four and five-year-olds saw 15 of the 16 entries facing the starter. Iwanabebobbiesgirl and Red Red Rover set a scorching gallop, but at the business end it was left to the well backed Mystery Edition to fend off the challenge of Creative Inerta. “He idled a bit when he hit the front,” reported winning rider Rob Hawker. Mystery Editions owner David Luff is well known as the jockeys’ valet in the West Country but could not be present on this occasion. The winner was bought by his trainer Neil Harris as a three-year-old at Tattersalls, Ireland. “He is a lovely type and has strengthened up really well,” reported the Brompton Regis based trainer. The following photographers were at the meeting: Cat Down (Official Photographer) Tim Holt, Marcus Bath, Hamish Mitchell (Horse & Hound), Alun Sedgemore (Sporting Prints), Roger Peaple and Athwenna Irons (Western Morning News). 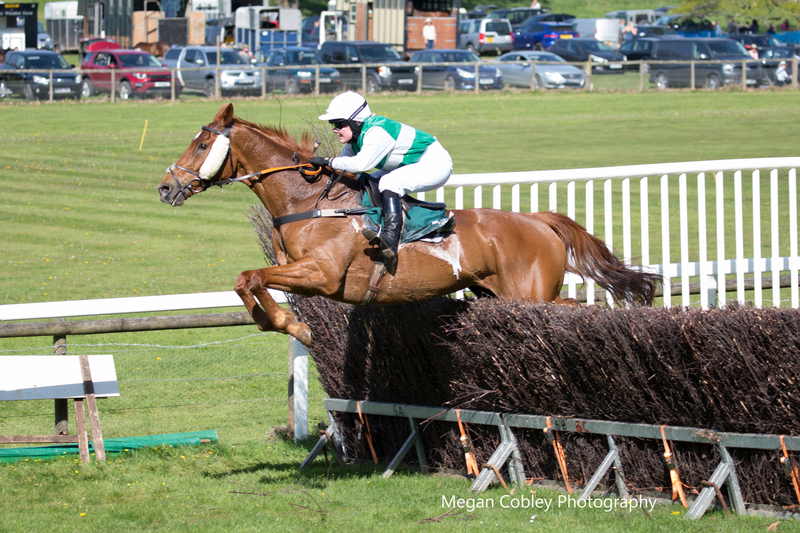 Press from At The Races, Pinnacle Sports, The Telegraph and The Guardian were also in attendance, with Sky Sports, The BBC, Racing Post, Sporting Life, Daily Mail, Oxford Times, Racing UK, Mid Devon Gazette, Express & Echo and Western Morning News featuring Victoria Pendleton’s Jumps debut.